We know that some patients want the efficiency of metal braces, but with a more discrete look. Tuckahoe Family Orthodontics is pleased to offer translucent, ceramic braces that blend in beautifully with your natural tooth color. These braces work in the same way as traditional metal braces do, but offer a more esthetically pleasing look for patients who don’t want to draw more attention to their smiles during treatment. The translucent ceramic brackets will be bonded to the teeth just as metal brackets would be, and archwires are then placed to guide the teeth into their proper positions. These braces are much stronger and less prone to breakage than previous clear braces were, making them much more effective than in the past. However, because porcelain is more brittle than metal, the brackets still cannot withstand as much force as traditional brackets can. That means, if you have a more serious malocclusion, such as a severe deep bite or underbite, porcelain brackets might not be the best option for you. If you live in Tuckahoe, Eastchester, Bronxville NY or other nearby cities and want to get braces, schedule a consultation today to learn more about clear braces options available at Tuckahoe Family Orthodontics. 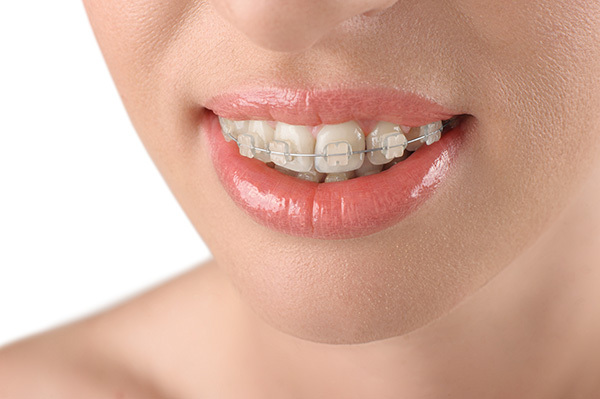 What Are the Benefits of Metal Braces?